Provides a clear and detailed account of the preparations and precautions necessary for the successful evocation of its 72 spirits, which are described in detail. 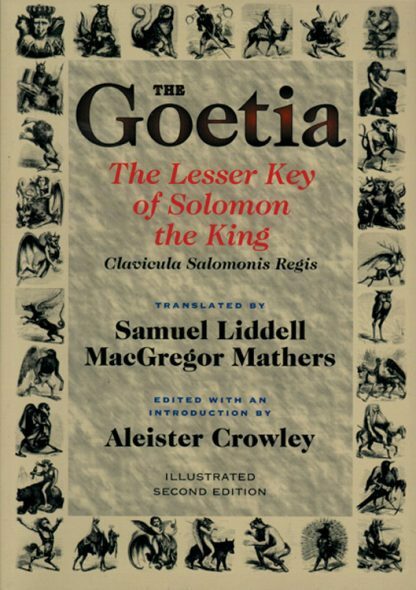 Includes Crowley's "An Initiated Interpretation of Ceremonial Magic," his version of "The Bornless Ritual," Enochian translations of some of the Goetic invocations, an introduction, and notes. Illustrated. Smythe-sewn and printed on acid-free paper. S. L. MacGregor Mathers (1854�1918) was a prominent scholar and key leader of the occult revival of the Western Mystery Tradition in the late 1800s. He held high office in the esoteric fraternal order of Rosicrucians and with other luminaries of his time and founded the Hermetic Order of the Golden Dawn. Mathers was a prolific editor and author.